I shared the launch of RideMe, a new ridesharing startup in Nigeria, yesterday. 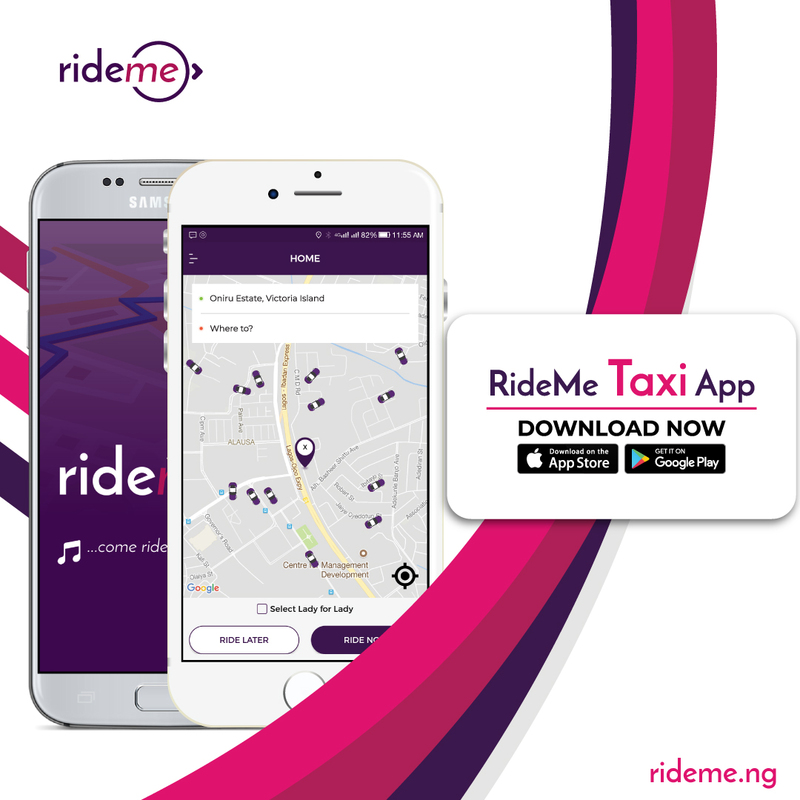 RideMe is entering a highly congested and competitive market in Nigeria. The responses were mixed: some were excited while some were concerned on why a company would enter such territories when winners had already been concluded. Reading the comments, I think I need to address one main point: the best companies in Nigeria are yet to be founded. Our market is still at infancy across many sectors. While the ICT utilities like Uber, Google and Facebook remain dominant as I noted in a recent piece in the Harvard Business Review, the reality is that an entrepreneur can engineer a total product differentiation to create a niche in some sub-sectors. In that HBR piece, I made it clear that there are many areas Google and Uber cannot just do fine; our Nigerian startups can win by doing those things better. Do not do frontal confrontation but find inefficiency where the ICT utilities can even help you in accelerating growth. That is the paralysis we are seeing in telecommunications, in e-commerce, and across the broad ICT sector. When WhatsApp makes texting and calls free (in some cases with better quality), local telecom giants bleed cash. When Instagram provides an amazing gallery to display products, local newspapers struggle. And when Facebook makes it possible for merchants to reach millions of potential customers at no cost without the typical marketplace subscriptions or commissions, traditional e-commerce begins to fade. I have noted that despite our 198 million human population, the effective addressable market in Nigeria is less than 30 million people. Yes, these are people with decent income to sell something to. The remaining 168 million people are opportunities, nevertheless. I do not expect Uber or other ICT utilities to find solutions to them. The essence of every business on earth is to fix market frictions. I am not sure Nigerians have reached the level where they do not experience pains and struggles as they move from one location of a city to another (intra-city movement) or as they move from one city to another city (inter-city movement). Provided those frictions have not been solved, it is irrelevant that Uber pioneered that sector. Yes, there is a huge opportunity to find business models to improve the lives of our citizens, from ecommerce to transportation, and across all sectors despite the existence of big brands. When we work with entrepreneurs in my Advisory, we try not to shape their elements which drive the confidence to compete. Yes, that despite the inherent advantages of any incumbent, we do believe that there are opportunities to thrive in a sector. Our focus is always to find ways to create a differentiation and niche. Usually, the local businesses respond faster and better since the foreign multinationals may not have the flexibility to adapt. Uber has a largely one global app which must be approved by the leaders in U.S. before it can change to accommodate any requirement in Lagos. But local entities in Owerri, Kano and Ibadan can evolve to meet a unique and localized market need within minutes if they are agile. That flexibility and the very fact that Nigeria is not a place one can scale with reckless abandon because our infrastructure and market structures bound those possibilities provide opportunities for local firms. Yes, that you have won Lagos does not mean you can win Yola. That you have done well in Abuja does not mean that same business model can thrive in Opopo. The heterogeneous nature of local markets and disparity in development across cities make scalable advantages to be curtailed. The company RideMe is working to get drivers and riders into its ecosystem, offering discounts. The CEO wrote to me and explained that “Riders can use promocode “freerides” to get N1,000 off their ride” (download app here). That is a way to create a buzz and get riders into the network. The startup must try different things until the team finds the winning formula. Interestingly, since the piece ran, insurance companies, pension management companies and other related entities are contacting the firm to explore how to serve the drivers in the RideMe ecosystem. Despite any arrangement the company has, these entities want to get in. Even mortgage financing entities are interested to participate. There is a clear value proposition that you drive an “advanced taxi” and you are working to get a mortgage for a house. Or as you work, a government-approved pension manager is handling your pension. If RideMe accomplishes that as an aggregator and platform, that is a clear differentiation which unlocks many opportunities to shape not just ridesharing but pension, insurance and mortgage in some areas and cities. We need to have confidence even in the age of Facebook, Google and Uber. The key is finding a localization strategy to win and fix local business needs. To my knowledge, ridesharing is still at infancy across many cities in Nigeria like Owerri, Aba, Yola, Jos, Uyo, Ife and more. If we just wait for Uber and Lyft to come and do those services, we would not be fair to our nation. And no one says that ridesharing cannot be a vehicle to provide health insurance, pension and mortgage to working Nigerians in the transportation sector. The Americans cannot do such because the local units do not have flexibilities to adapt. That lack of local agility is an opportunity for Nigerian entrepreneurs. Sure – you need to examine market risks to thrive. But that does not mean that you cannot start a construction business because there are many construction companies in Nigeria. Internet companies in their duality of products and platforms are harder to compete against but yet we have an “unexpected advantage”: our infrastructure makes it nearly impossible for them to scale without huge marginal costs as they would have done in U.S. and Germany. Go out there, have confidence, look at risks, develop your model, refine the model, and WIN. You can do it. Nigeria’s Best Companies have not been founded: you can establish them.